In a recent Deal Seekers meet up we discussed investing out of state. It’s a topic that has come up a lot during the Meetup Group as local investors are noticing that all the low-hanging fruit is gone and the market is getting tighter with lower inventories. Many investors are starting to look outside the area trying to find deals were the numbers actually makes sense. Lately there’s been a lot of talk about investing in out-of-state areas such as Texas ,Florida, Nevada and other areas where you can pick up properties for much less then you can here, but still collect rents that are similar to what we’re getting in our area. As with anything – higher rewards come with higher risks. One of the prime factors that stop investors from going out of state is fear and uncertainty. Fear is the number one reason why most people won’t invest in an area that they’re not familiar with, and with good reason. What do we fear? We fear that we don’t know the market well enough. We don’t have boots on the ground to help us find properties and evaluate them correctly. We don’t know any contractors that are trustworthy. A lot of things can go wrong when you’re buying property in your own town – now multiply those issues by being close enough to put out those fires quickly. What’s wrong with not being close to your investment? To start with – you have no idea what’s happening at your property and cannot simply drive over there to find out. When construction work is being done, you cannot follow up with the workers to ensure everything is happening as planned and to your standards. When you are investing in unfamiliar areas, far from your home base, you are highly dependent on others to help make sure things are taken care of. If you’re unfamiliar with the market , you must depend on local real estate agents to help you gauge the market properly so that you don’t buy too high or sell too low. You depend on property managers to take care of your apartment buildings and keep you up to date on the local market rents. You depend on handymen and contractors to do repairs that are sound and up to code. Without being there, you have to be able to trust your team to keep things running smoothly. Many investors are reluctant to hand over this much power to strangers and this makes a lot of sense – especially when you don’t know anybody. With all the things that could possibly go wrong – why would anyone bother stepping outside their own backyard to invest in strange and unfamiliar places? Because, if done correctly – there can be a lot of advantages to owning and operating out of state investment properties. At the top at that list is cash flow – if you buy in the right area, you can spend less on your purchase price , yet get higher rents. Crazy right? So where are these areas you ask? According to Zillow , the average cost of a home in the US is $202,000 – so take a place like Birmingham, Alabama where the average price of a home is about $157,000. Over 40% less than the average US home price , yet is in an area where rents are only about 26% lower than average. You can see the benefits even more if you are investing in high cost areas like California where the average home price is $469,000. Let’s look at a four unit multi-family property in Los Angeles, California and compare it to a multi-family property in Birmingham, Alabama. This may seem like an unfair comparison – after all , California is California…. and Alabama… well, lets just say, they are two very distinctly different markets – and thats the point! I want to show the contrast between investing on two different parts of the country. 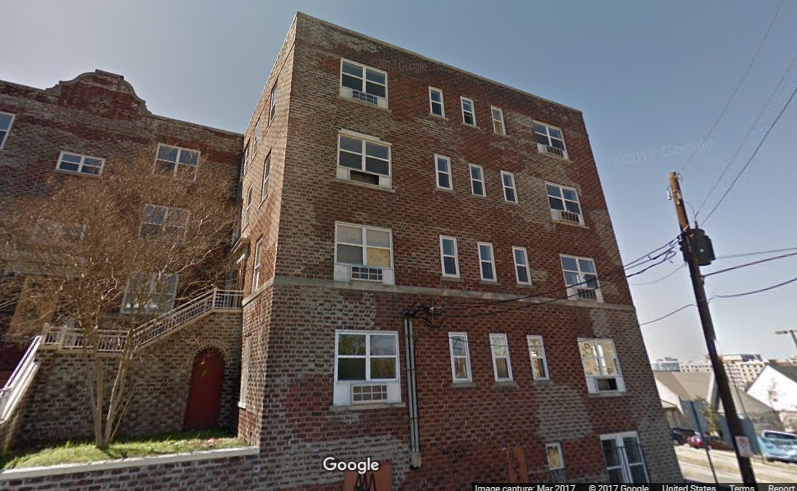 4 Unit Multifamily with 1,100 sq ft units – no mention of bedrooms , but some research revealed that they are 1 bedroom units. List price is $425,000. According to Rent-o-Meter – average rents for a 3 bedroom in that area come in at around $1300 – $1500 / month. To keep it simple , we will go with $1300/ month. So based on the chart above – you can see an monthly income of $4,940 which equates to $59,280 a year. 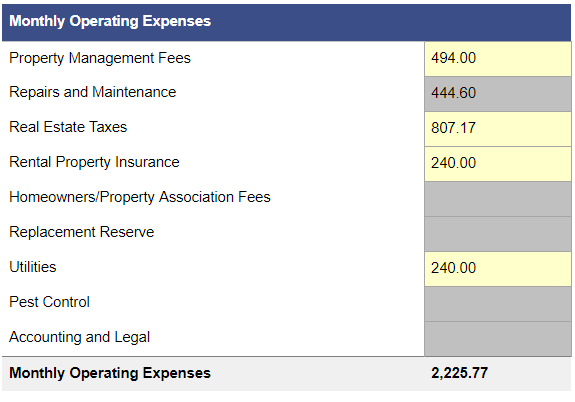 I’m including management fees because someday you may want to walk away from tenants, toilets and trash – and I like to make sure that the numbers pencil out and you have cash flow , even if you are paying a manger. Also, if you’re buying outside of your area, then you are definitely going to want a property manager. So as you can see, you can put your money to work here and get an 9.63% cap rate and $19,736 cash flow per year. Your Cash on Cash return is 22% meaning that this is the return of your income based on what it cost you. 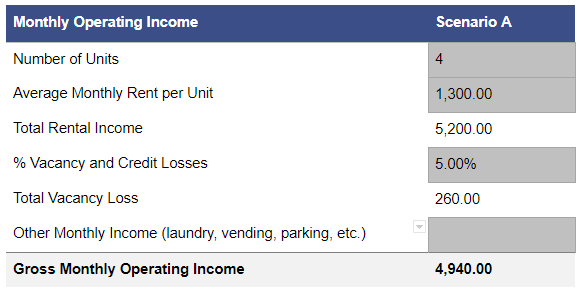 These numbers are including management and utilities. Now let’s take a look at a multi-family in California. 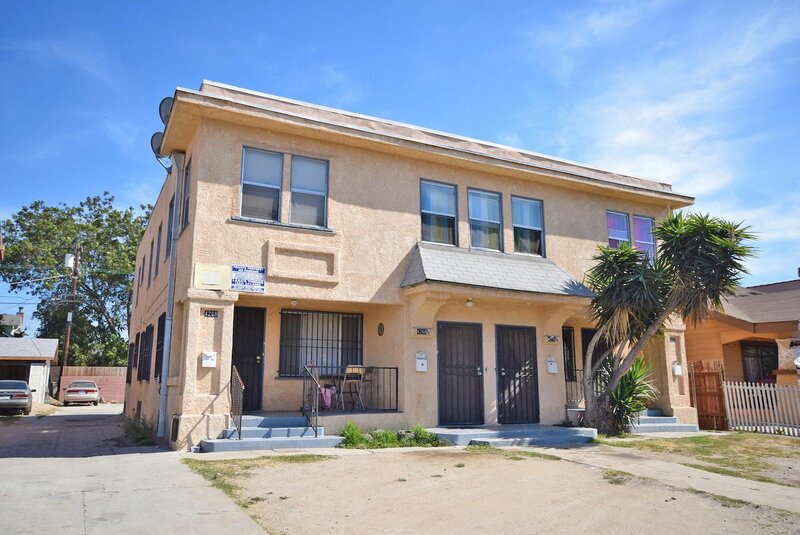 A two – story 4 Unit Multi-family in Los Angeles with 800 – 900 sq ft units – three 1 bed/1 bath units and one 1 bedroom. List price is $835,000. Right out of the gate there are some big differences. There are more upfront costs, considering that a $167,000 down payment is significantly higher than an $85,000 one. You would also be required to borrow more – to the tune of $668,000! So let’s take a look at how the scenario changes. 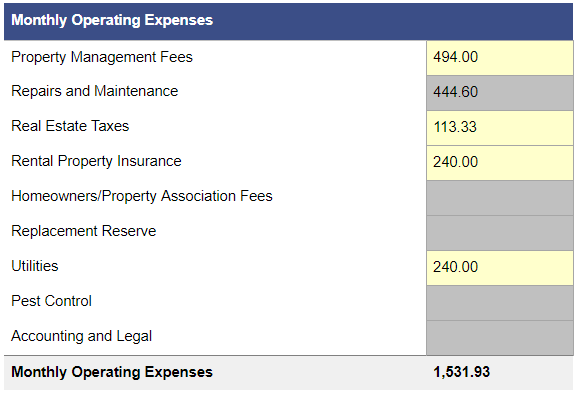 Here you see an increase in expenses as the taxes are based on a much higher purchase price. You don’t have to be math major to see the stunning difference. This complex is costing you money every month and could bleed you dry. This is why many investors in the coastal cities of California are starting to look elsewhere for deals. When you see the stark contrast between the two investments – things start to fall into place and make more sense. In this case – we can see that the difference between the investments can be as much as $41,000 a year! Still, even with potentially greater gains – it is very difficult separate one’s self from their money to simply to throw it into a blind hole of darkness – and that’s how many investors look at out of state investing. Rather than focusing on how to make the deal work or how to protect themselves, they would rather avoid it altogether and call it too risky of an endeavor. But these investments are not some voodoo black magic – or some kind of mystery wrapped in an enigma – they simply require a little strategy. With the right strategy, you could move forward into unfamiliar territory with the confidence of grizzled vet. Before you go delving too deeply into the depth of out of state investing – start by building your team. Make some phone calls- talk to some brokers. Don’t talk to just one, talk to several – talk until you find one that you have a good feeling about and is willing to help you build the rest of your team. Get some recommendations for local lenders, contractors, wholesalers, and other investors and then talk to several of them. Get to know some of the local city services you may need to deal with like water , garbage and electric company. 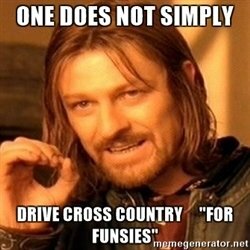 Take the time to go out there and drive around. Shake hands with your newfound contacts and look them in the eye. Get to know who you will be dealing with so that you can trust that when you are ready to pull the trigger , you have there right team in place to execute. By first making sure that you have the right people , you can focus on more important task like finding the deals. So if the deals in your area are starting to dry up – don’t be afraid to step outside your comfort zone and look for a new place to invest. Just make sure that investigate the area you’re interested in and start building your network. Don’t be dependent on just one guy – if one person lets you down – make sure you have a backup you can call in a pinch. This will save you a lot of headaches in the future when you need something on-the-fly and your regular guy isn’t available. It’s all in the planning. If you make contingency plans , have multiple resources to rely upon , and have access to good market data, there is no reason that you cannot become an out of state investor too. Be sure to come back for my followup article on some of the best places to invest for 2018.